Anda pernah dengar Mitos dan Lagenda Kalendar Kaum Mayan yang berasal dari tengah-tengah hutan Mexico. Yang paling terkenal setakat ini ialah Kalendar Mayan yang kononnya mengatakan bahawa penghujung Hari Kiamat akan berakhir pada tarikh 21 Disember. Ini andaian semata-mata. Pun begitu, ramai yang seakan-akan mahu mempercayainya. Bersempena dengan jangkaan kononnya akan “berakhirnya dunia’ mengikut Kalendar Mayan pada tarikh 21 Disember 2012, saluran SyFy HD di HyppTV akan menayangkan filem aksi yang mempunyai tema seperti bencana di bumi, kemusnahan dunia, bencana taufan dan serangan dari makhluk asing. 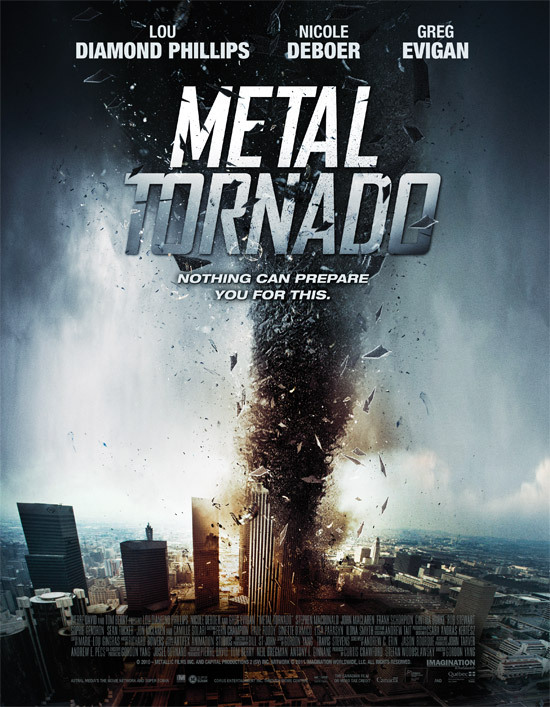 Saksikan filem menarik di saluran SyFy HD dalam versi High Definition seperti Alien Tornado, Super Storm, Lightning Strikes, Weather Wars, Metal Tornado dan Collision Earth sempena dengan bulan Disember 2012 ini. Do the twist: When you’ve got a twister from outer space tearing your way at warp speed, there’s only one thing to do: run. 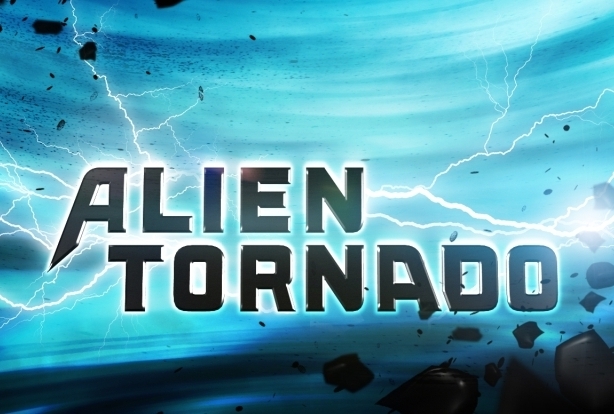 That’s what scientist Dr. Jake Alredge (Gerald McRaney) gets reay to do when he perfects his DIY tornado warning system… but first, he must convince an entire town to escape with him before the storm of the millennium chomps it to bits. Good luck with that. Red alert: No, the Great Red Spot isn’t a monster zit. It’s the swirling superstorm on the surface of Jupiter… and it’s about to leap off the face of the planet and head to Earth. 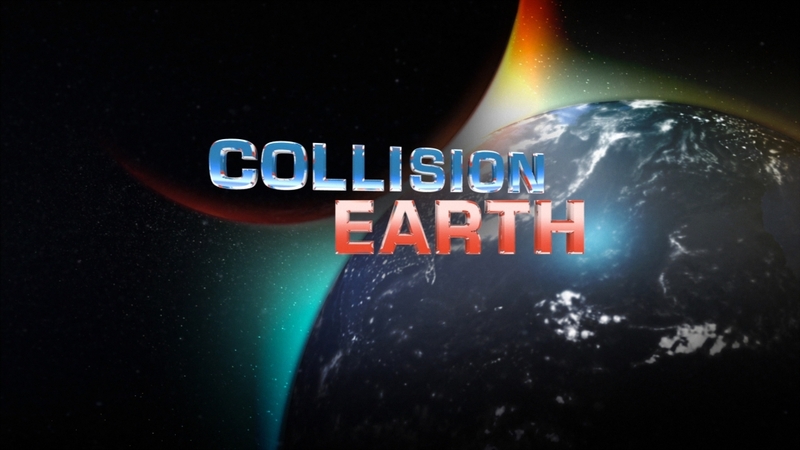 Swallowing up everything in its path, the massive storm will turn Earth into an empty gas giant like the planet it left behind… unless a high school student and his science project can put an end to it once and for all. Ride the lightning: When a series of freaky lighting strikes leaves a string of corpses burnt to a crisp, a storm chaser and his team discovers a deadly creature of pure electrical energy on a merry spree of mass destruction. A sweet, unsuspecting small town will be next to fry, unless manly sheriff Kevin Sorbo (Hercules, Meet the Spartans) finds a way to zap the vicious lighting goblin first. Revenge of the nerd: After losing government funding for his project, an eminent scientist goes haywire and becomes determined to seek revenge. In true mad scientist fashion, he transforms weather into a force of destruction of death, controlled only by his whims. 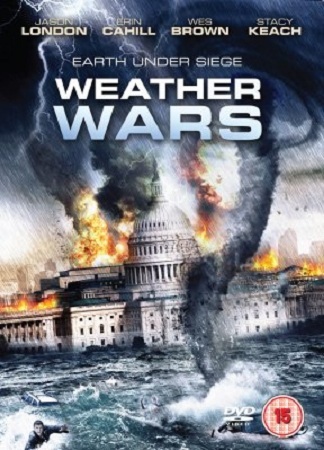 Now, it is up to his two sons, estranged brothers played by Jason London (Dazed and Confused, Jason and The Argonauts) and Wes Brown (True Blood, Private Practice), to team up and put a stop to their father’s dastardly plans of destroying the nation’s capital. We hope they remember to bring an umbrella. Samuel Planck is head of a high tech facility tasked with storing and converting renewable energy, and after years of research it is now time to test the system out. But when the facility is unable to control the massive amount of energy coming in, the charged particles begin swirling around quickly turning into a magnetic tornado. 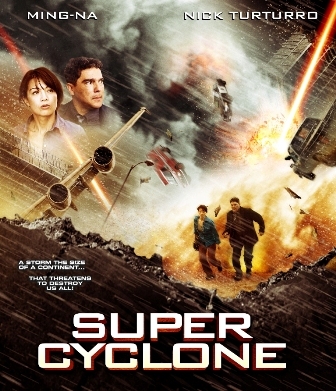 Planck and his team must find a way to stop the tornados before they destroy everything. Umbrellas not necessary: A mega cyclone threatens to rip the East Coast of the United States off the map with deadly winds and killer waves. Before the storm claims millions of lives, a beautiful meteorologist (Ming-Na, SGU Stargate Universe) must join forces with a street-smart petroleum engineer (Nicholas Turturro, NYPD Blue) to brave the elements and save the day. We highly suggest putting in a call to Storm of the X-Men. Bagi pelanggan Unifi dan pengguna HyppTV, anda boleh tonton filem menarik ini pada setiap hari Rabu, jam 8:20 malam, dengan ulangan pada hari Sabtu pada 10:50 malam. saluran Syfy HD, hanya pada HyppTV Channel 165. Next Article Beratus Bikers Kumpul Depan TV3, Mazidul Di Mana? canteeek. aku baru 3 hari nikmati unifi kat umah.